Abuja (Agenzia Fides) - "We see with great dismay that the violence we denounced in the past continues unabated", the Nigerian Bishops denounce in a statement published at the end of their Second Plenary Assembly held in Sokoto from 6 to 14 September . "We observe with deep sadness how unarmed Nigerians are brutally slaughtered, owing to religious and political differences, boundary disputes, and other such reasons", says the document sent to Agenzia Fides. "We equally observe that Government is often slow in responding to these violent occurrences and often allows many of the perpetrators of these heinous crimes to go unpunished, thus creating a culture of impunity", write the Bishops expressing their "total condemnation for these crimes" and call on "the Government to defend the life and property of every Nigerian citizen". The Bishops also appeal that the "thousands of our internally displaced compatriots be helped to return to their homes and their land restored to them as quickly as possible". The statement continues by asking "Governments at all levels to respect the rights of citizens and groups to practise their religions unhindered". "In this spirit, Governments should make it possible for religious groups to acquire land for the building of places of worship, schools, hospitals and social welfare facilities whenever the need arises. At the same time, we enjoin everyone to avoid acts of religious fanaticism in order to promote peaceful co-existence and harmony. Religion is a matter of conviction, not coercion". 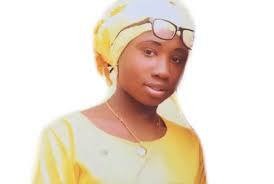 The Bishops finally launched an appeal for the unconditional release of Leah Sharibu, a student kidnapped in February in Dapchi, together with some of her friends, by a faction of Boko Haram. While her friends were released after four weeks, Leah Sharibu, who is 15, is still a prisoner because she refused to denounce her Christian faith.